Are your kids safe this Halloween? 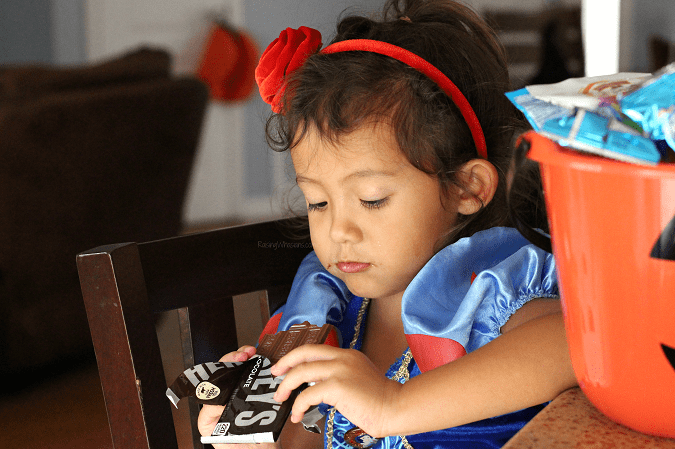 Here are 6 Halloween Candy Safety Tips for Kids you may not have thought of yet! This is a sponsored post. All opinions are my own. It’s 6 days before Halloween. I have one little girl determined to be Moana – not budging. And I have one little boy opting between 5 different costumes…5!!! But here’s the thing, while most families are worried about what their kids are going to wear, getting the best pictures and making game plans for the best candy routes, I want to get serious for a hot minute. 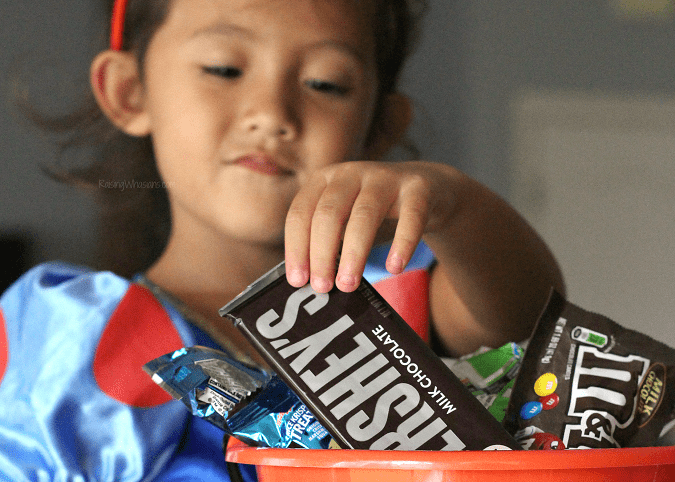 Maybe you’re an expert on Halloween Candy Safety Tips. Maybe you’re not. But here’s the thing, this is a good time to stop and take a moment to really let these tips sink in before we run out of the house for trick-or-treating. I’ve got 6 tips today and the last one is probably my most important tip, especially if you haven’t discussed this yet with your kids. Let’s make it a thing, an important thing, to keep our kids safe this Halloween. Why does mommy inspect the candy before you eat it? What do we do with candy that doesn’t look safe? Those candies with the twisted ends really get a thorough inspection from me. Tootsie Rolls? Smarties? Yeah, you know the ones I’m talking about. Make sure your eagle parent eyes are even more focused on wrappers that may be open or messed with. Immediately throw away. Have a child with allergies? Make sure to check ingredients on the packaging too. 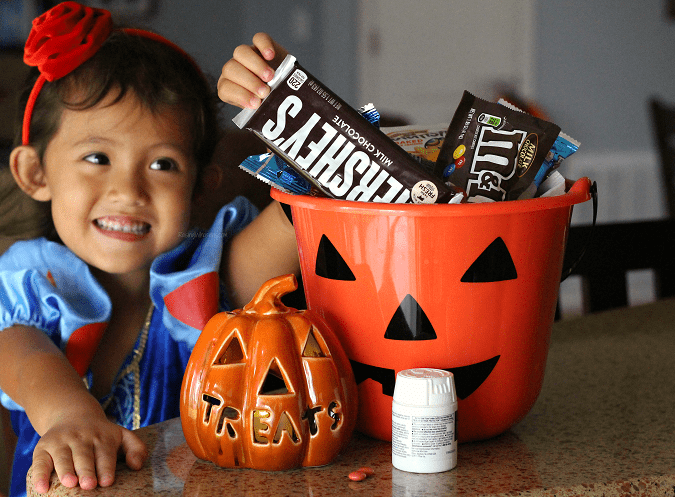 Separate any potential allergen candy from safe candy (for instance, taking two bags when trick-or-treating). I have a 4-year old. She still doesn’t know how to chew her food properly before swallowing. So candies that are high choking hazards like gum, hard candies and even round candies like Whoppers send off a warning flag in my brain. I separate these candies too, making sure that my kids only eat them in the presence of an adult (aka I’m ready with my ninja Heimlich skills). This year, the National Retail Federation projects Americans will spend a remarkable $2.7 billion (with a B!) on candy. Where does all that candy go? Check out the KnowYourOTCs.org web site for more information on fluoride and additional oral care tips, by clicking here. Make sure all your medicines are stored safely up, away, and out of sight. Never ever refer to medicines as candy and teach your kids that only parents or a caregiver can give them medicine. I love this infographic, because it kind of scares me. I can’t even tell which is the candy and which is the medicine in most of these pictures. So how would our kids know the difference? 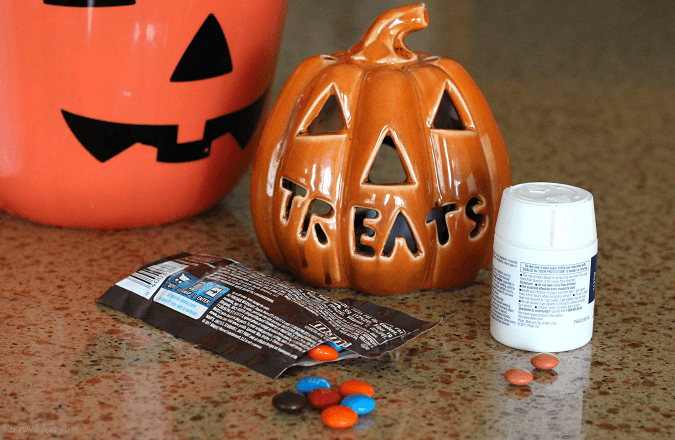 That’s why medicine safety around Halloween is so so so important! 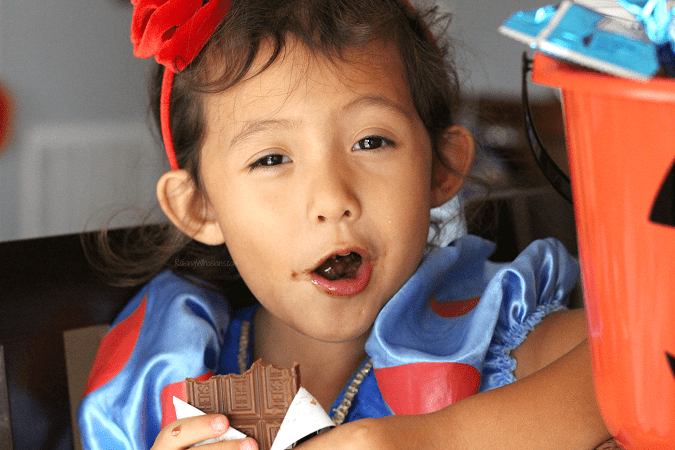 The main thing, parents, is to make sure that our kids how much we care about them this Halloween season – and why we double and triple check their Halloween candy. 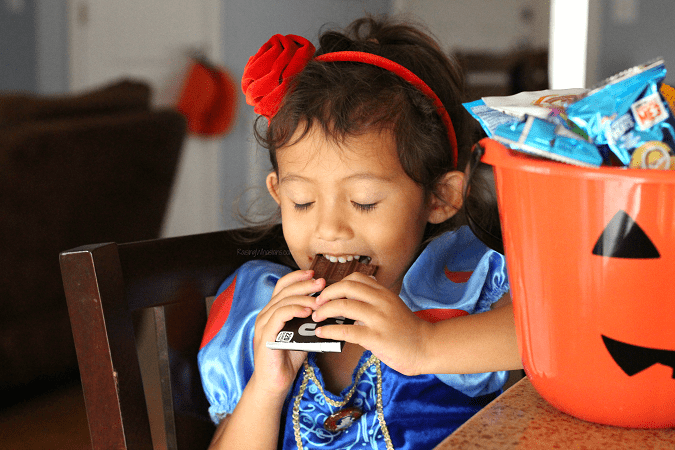 Before you got back into the chaos of parenthood, be sure to keep KnowYourOTCs.org website handy for any other questions/tips needed on keeping your kids safe this Halloween. 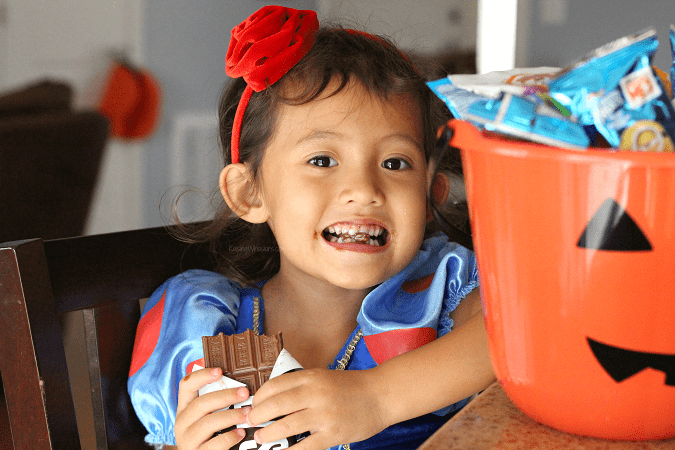 What are your best Halloween Candy Safety Tips for Kids? Oh yes, inspect that candy well. There are too many crazies out there not to! Great tips. I love this post so much. It’s incredibly important to be careful with Halloween candy. Most people are nice and sweet and just want the kids to have a good time. Some people are nuts, though. These are great tips. Sad but you do really have to check your child’s candy. There is very little trick or treating going around the area where we are. It was fun when we were kids, not sure if our neighborhood where we grew up still does it. 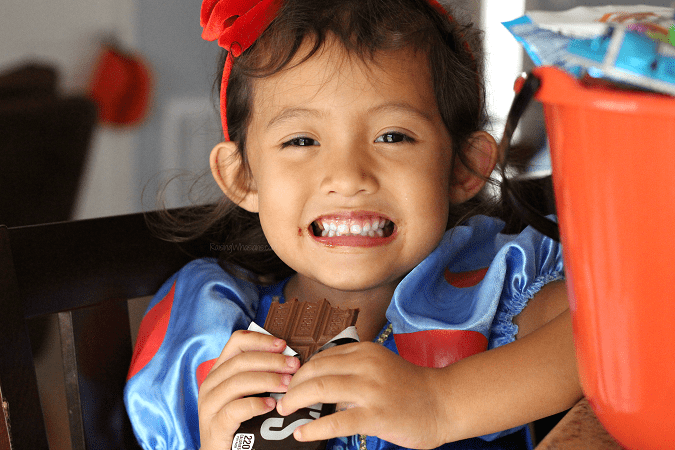 A whole giant Hershey bar for trick or treating – wow! my favorite! The brushing is important, too! My daughter is 1, and her daycare wants us to send in candy for treat bags (I’m not sending candy. I’m sending other treats acceptable for 1-year-olds.) And we keep medicine far out of reach of our kids. That graphic is scary – I didn’t realize how similar some medicines look like candy! 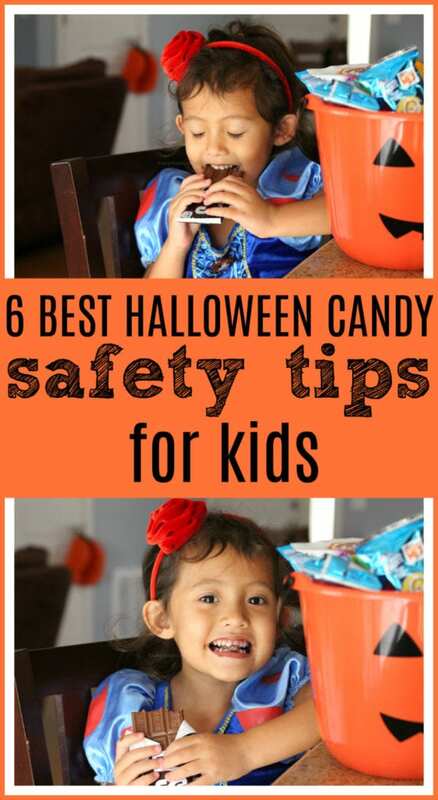 These are great candy safety tips. These are such great tips, some of which I would not have thought of. I think checking the wrapper for allergies is so smart. A lot of medicines do look similar to candy. When I was a kid I overdosed on flintstones vitamins. These are some great tips. That smirk tells me you aren’t getting any of her chocolate bar. 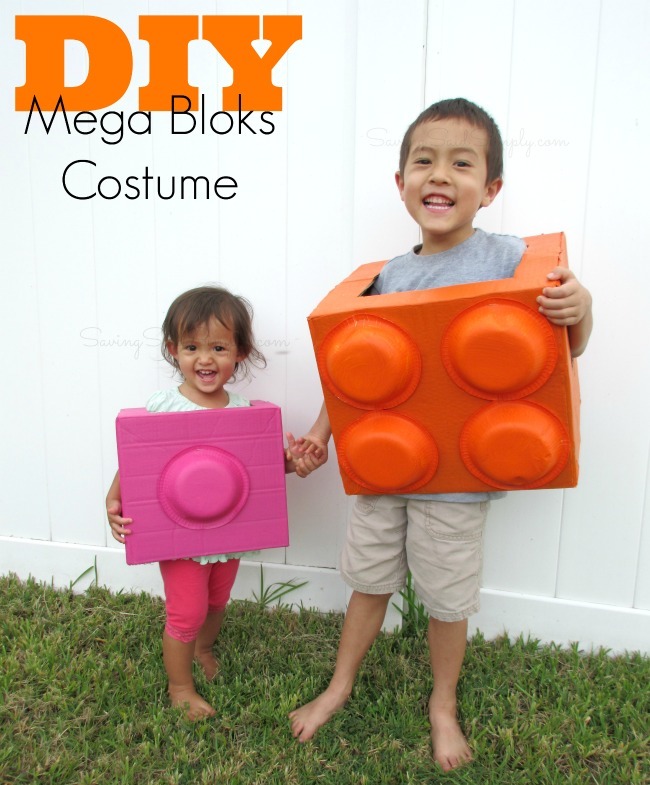 These are great tips for Halloween! I always make sure to check their candy after trick or treating! 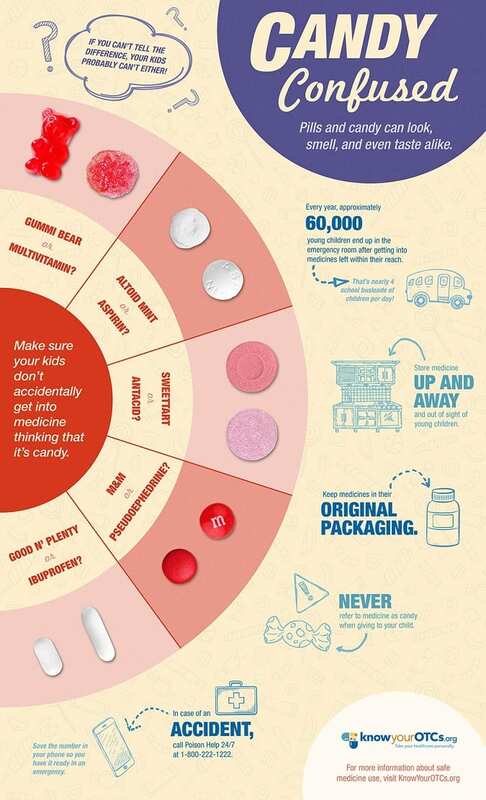 Those are all awesome tips, especially the chart with the pictures of pills that look like candies. This is a good reminder for all parents who are taking their kids trick or treating. It’s definitely important to make sure that the candies are safe for your kids to consume before you let them eat it. These are tips that all parents could use. We’re going trick or treating this year and I want to make sure that the kids are always safe. These are wonderful tips and reminders for all of us parents. We have to be more alert! It’s always good idea to have a look through the candy! The infographic should be really helpful! We’re a food allergy family, so we check everything before our son gets home. He’s also had his share of cavities. Flossing is becoming a way of life for us! These are all great tips! I love that there are so many school Halloween parties so the kids can all go there and be safe! I find it a shame that people find it okay to tamper with kids’ candy. Why do some people have to ruin good things? I jokingly tell my kids I’m checking their dessert to make sure it’s safe as I steal bites of it. But truth is, you can’t be too careful. These are great reminders for Halloween. You hear horror stories every year! 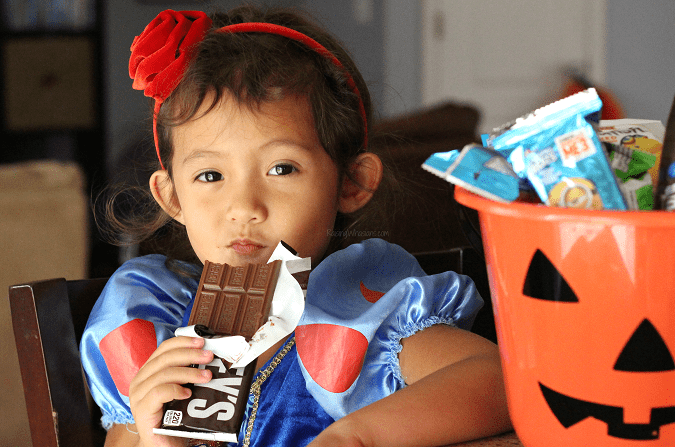 Trick or treating is supposed to be fun, but these dangers and concerns are real. We’ve got to be careful with our children. Thanks for the reminder. We cannot be too complacent with issues like this. For the safety of the kids, we must inspect all the candy they have collected before allowing them to eat it. And of course, brushing after having sweets is a must. It is scary that some medicines do look like candy! I hope the drug companies would make a move to make their pills differently shaped and labeled. Since that is a far-fetched possibility, I guess it is up to us parents to practice the necessary precautions to avoid a trip to the E.R. I make sure to take my kids trick or treating with a light up bracelet to make sure cars can see them. I always have their candy checked to make sure it is okay! Thanks you for these awesome tips!! I felt awful last year when a little old lady hand packaged cookies for treats…. unfortunately in this world you just cannot trust anyone and I tossed them!! It such an important time to be safe and cautious! Halloween is fun for kids but can still be dangerous. I am glad you layed out these tips for parents you can never be too cautious. Thanks for the great tips I like how you showed candy that gets confused with medicine.